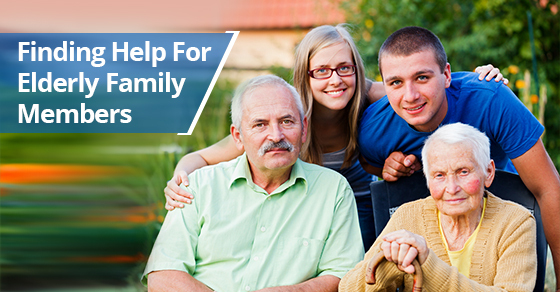 Diamond Personnel > Family Blog > When Is It Time To Find Help For An Elder Family Member? Someone you love is getting older and beginning to show signs of needing help. Maybe you’ve noticed your Dad’s mail is not being opened. Or your Mom, who usually always looks so together, is not taking care of herself like she used to by dressing up and doing her hair. Older people don’t like to ask for extra help. People don’t want to lose their independence. Poor housekeeping. Physical limitations can stop your family member from properly taking care of his or her environment. If your loved one leads a rich life, has wonderful people surrounding him or her in friends and neighbours and still seems to be doing well, we’ll help you look into as many in-home care alternatives as possible instead of creating stress by taking the person out of his or her home environment. Diamond Personnel’s Elderly Care Services will give your loved one personal care from someone trained to give specialized care – the kind of care unavailable in an institutionalized setting. Many caregivers will also help with household chores like cooking and cleaning. Our caregivers have vast eldercare experience and many have completed specialized geriatric training. It’s a five-day workweek for most of our staff and arrangements can be made to have someone available for around-the-clock care and on weekends as well. Call Diamond Personnel today to discuss how we can help you care for the aging senior in your life.